I was going to stop posting images of deer with yesterday’s post but this guy looks so majestic, I couldn’t help myself. I promise, something else tomorrow. If you want to purchase a print of this image click here. 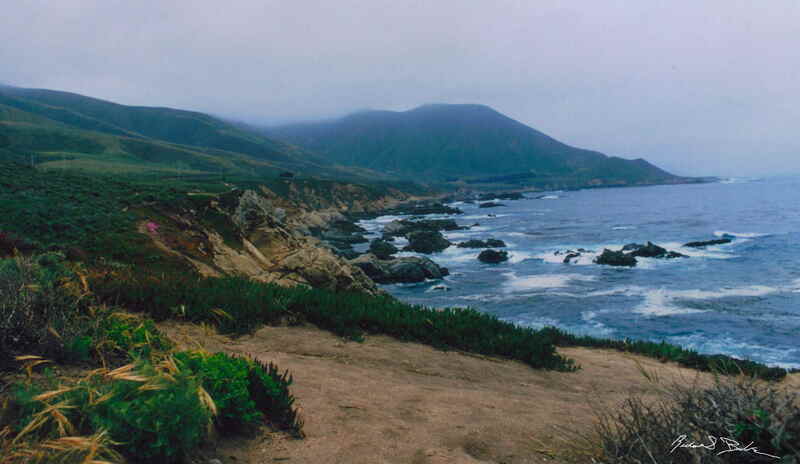 The world is full of beautiful vistas but it is hard to imagine a place more beautiful than Big Sur. The road twists and turns between Carmel and San Luis Opbispo and each turn reveals a new and stunning vista. It is hard not to stop every mile or so just to take in the view. The first time I visited was in 1968 and when I went back ten years later it seemed to not have changed, rugged wild and beautiful. You can buy a print of this image by clicking here. Comparing any waterfall to Niagara is probably a mistake. Out of all the waterfalls I have seen, nothing compares to Niagara. However, Bushkill falls in Pennsylvania is still spectacular. It is actually a collection of eight different waterfalls. However, what makes it special is the walkways and steps they have built to offer a variety of hikes through the falls. The entrance and signage are kind of hokey and the attractions they have added for the kids are fairly lame. However the falls are spectacular. This is the main falls at Bushkill. What could be better then grabbing an outdoor lunch in Paris in the Summertime and enjoying the summer sun? Buy a print or see other images at my European gallery by clicking here. I was out taking pictures of fall foliage and saw the reflections of the trees in the pond. I thought about Monet and wanted to do something that was homage to his style. The first image I took had extreme depth of field and the leaves in the pond were as sharp as the rocks. The result was a pretty but cluttered image and not at all Monet like. I then experimented with depth of field but to no avail. I could get the leaf reflection to be less sharp but then some of the rocks and the background would be unsharp and destroy the eye-flow. So I used mother nature and waited for the wind. I used f-32 and a slow shutter speed so the reflections become blurred through movement. Maybe not as good as Monet but a worthy salute anyhow. You can purchase a print of this image on my commercial taller by clicking here. Working with a fashion model is a collaborative effort. Back in the day, this young lady wanted outdoor fashion prints for her portfolios. We found this meadow and shot rolls of film. It was a beautiful day. I said what do you want to do next and she said twirl. I was changing film in my camera and she just started to twirl through the meadow as I took this shot. It wound up in both of our portfolios. You can see more work and buy a print of this image by clicking here.